Thought I would pop in and show you what I've been up to since my last post in...uh, January! First, our team won the Super Bowl...we are one very happy family. 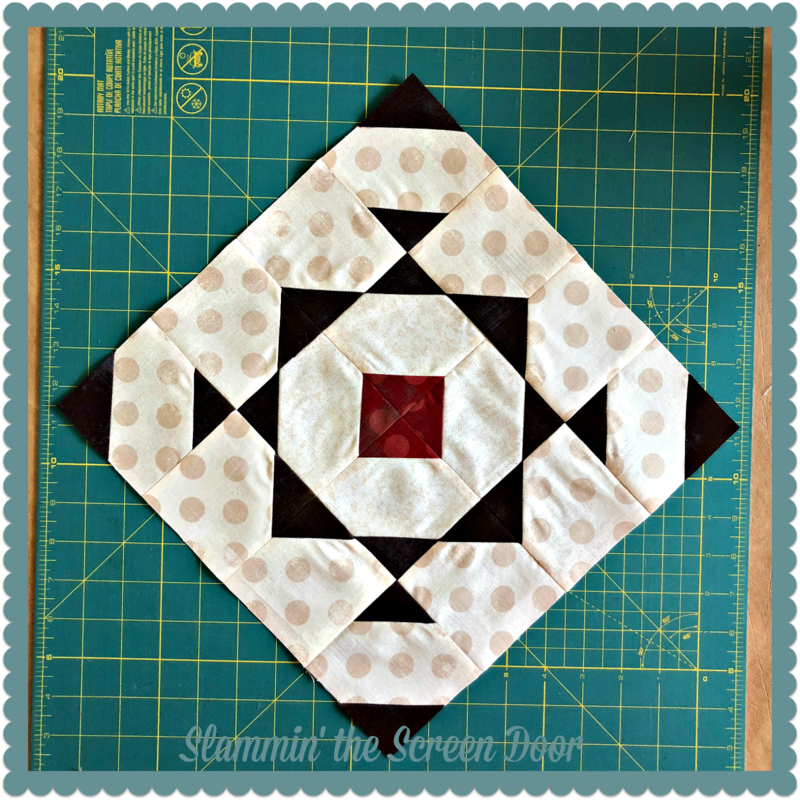 I've been out of town quite a bit and try to make the most of my time in the sewing room when I am home. 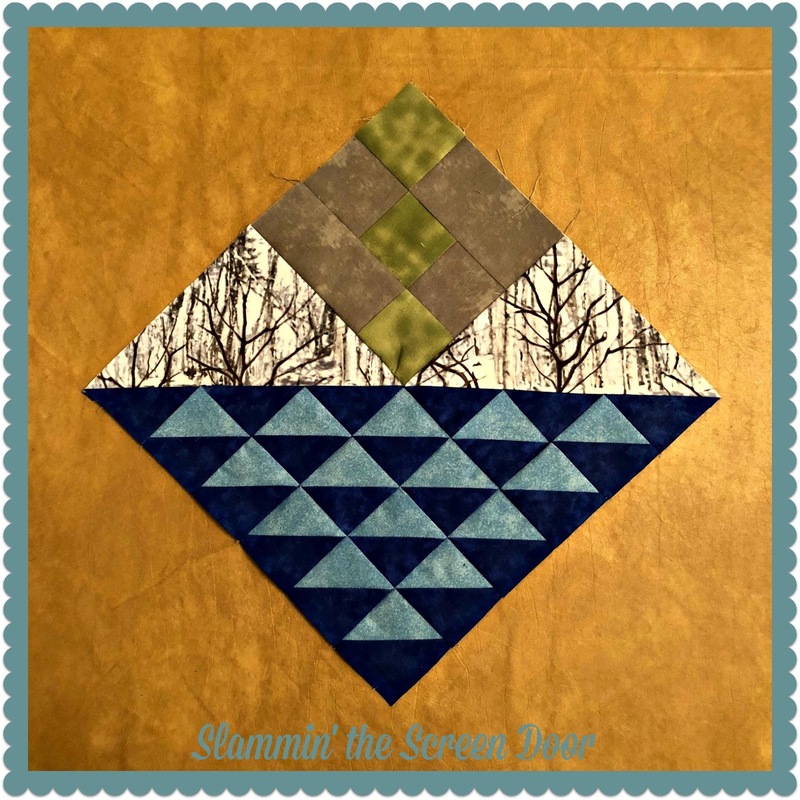 Mary of NeedledMom and her sister are hosting a Temperature Quilt QAL. You track your local temperature and create a block that represents the high and low for each day. You can read more about it here. 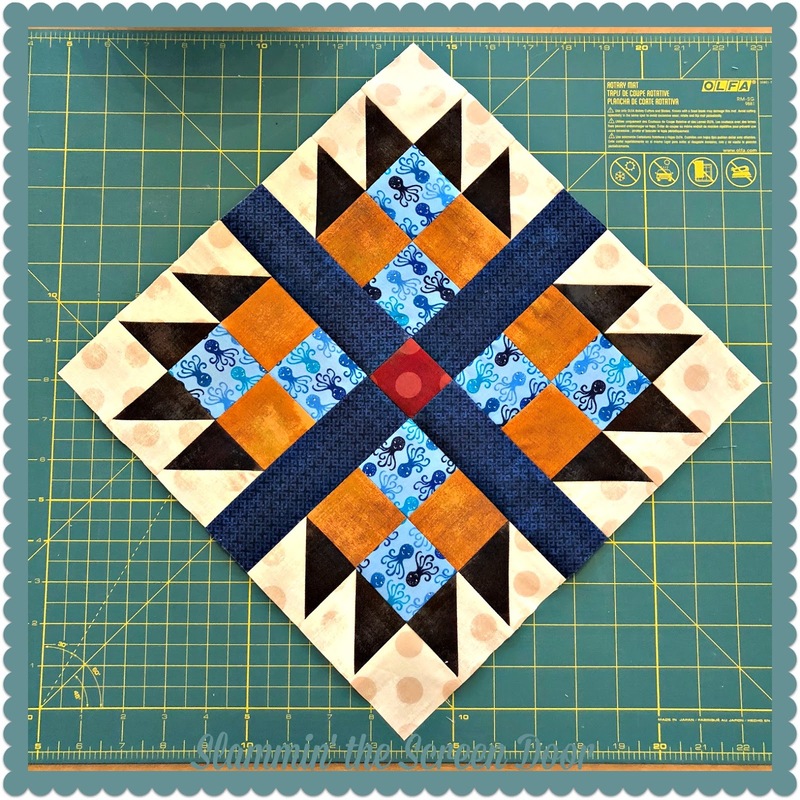 This year's block is a Square in a Square. 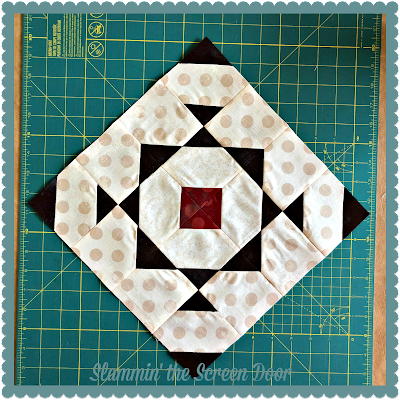 Mary provided a very nice tutorial on how to create this block but I decided to use this opportunity to learn paper piecing. 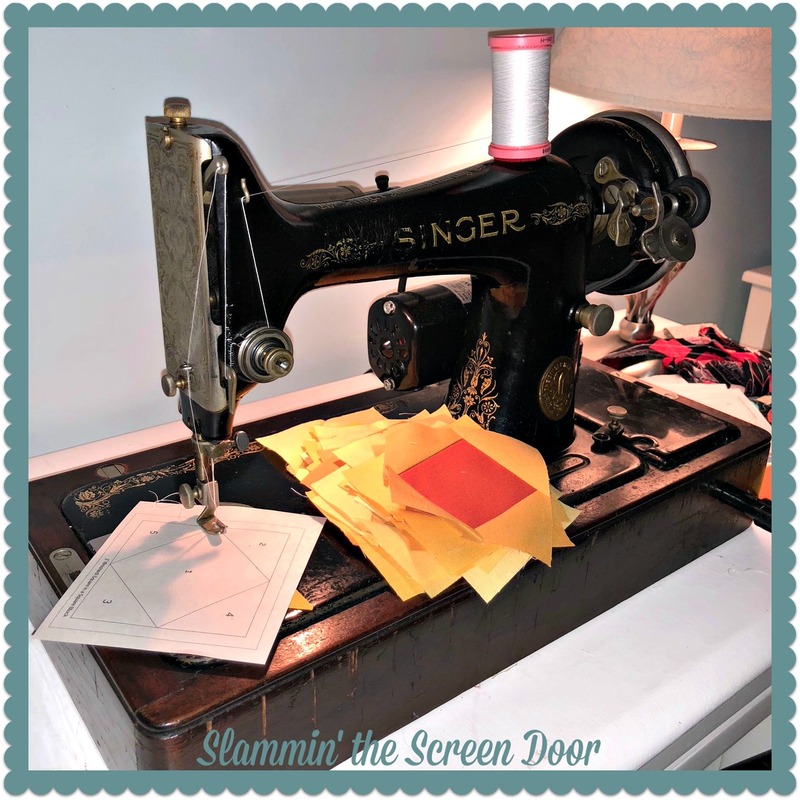 I found the correct size template online and set up a sewing machine dedicated to this project. This is my quilt so far. I found a couple of days where our highs and lows were pretty close together. 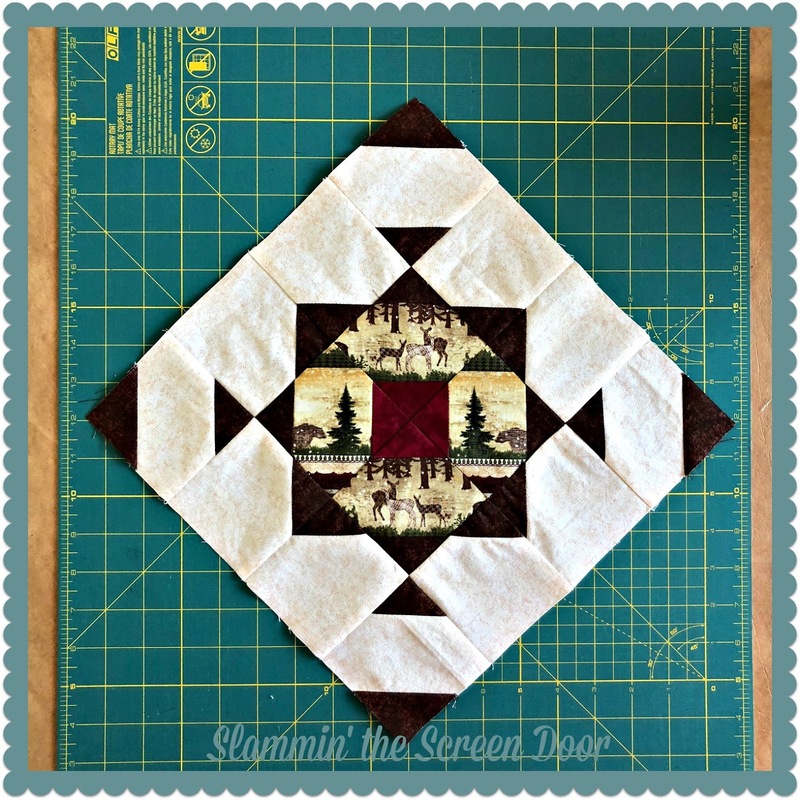 My friend Kelly and I are participating in Pat Sloan's block of the month Let's Go Camping. It's a mystery quilt. We have completed three blocks and I am wondering how this will all come together. I purchased the main fabrics Pat suggested and the colors are all over the place...at least for me. 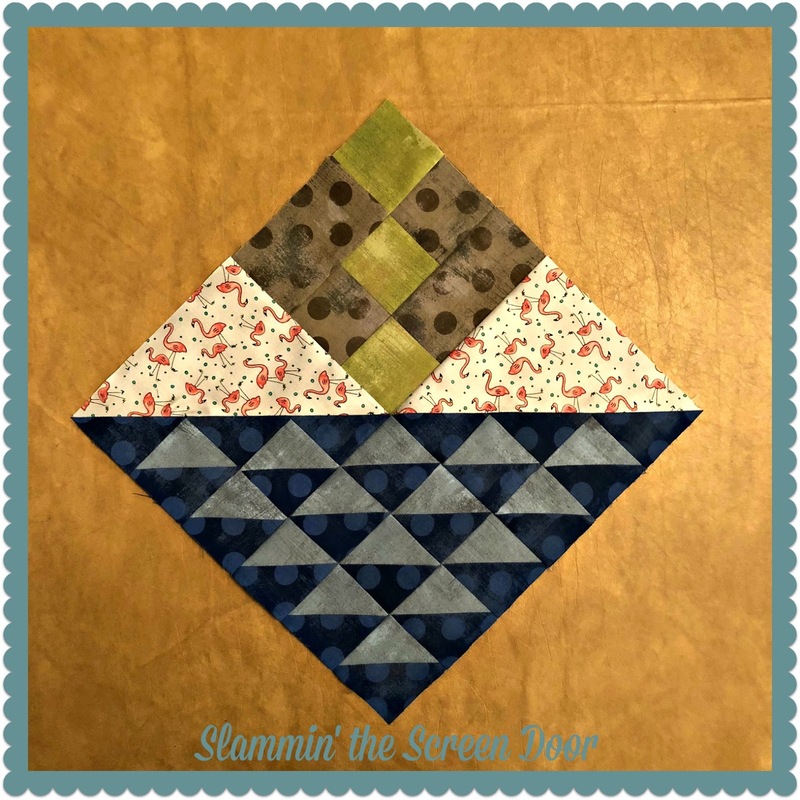 Kelly and I went to a quilt show in February and found a cute pattern for a wall hanging so that is another project we are working on. We are both happy to say that we are using our stash for this project. I'll share again once it is finished. I'd like to say that will be soon but I have more traveling coming up (2 two-week trips back-to-back) so...it will likely be end of April or beginning of May. If you made it to the end of this post...Thank You! It was nice getting caught up. You've been busy with lots of fun projects! 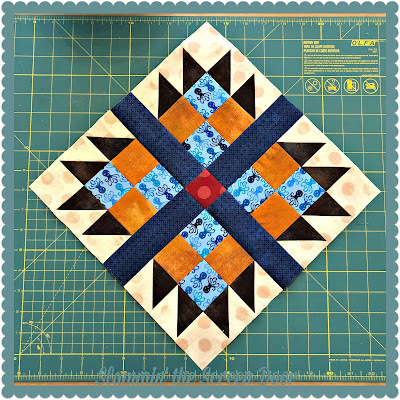 Your temperature quilt looks awesome and I LOVE those mystery blocks. It's going to turn out very nice! Your temperature quilt is coming along nicely. 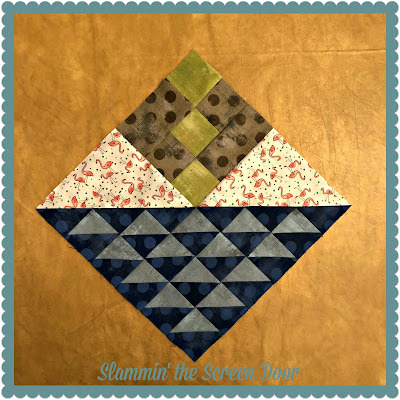 My thoughts on paper piecing are that some blocks are easy to make that way, but some just frustrate me with the "mirror image" sewing. 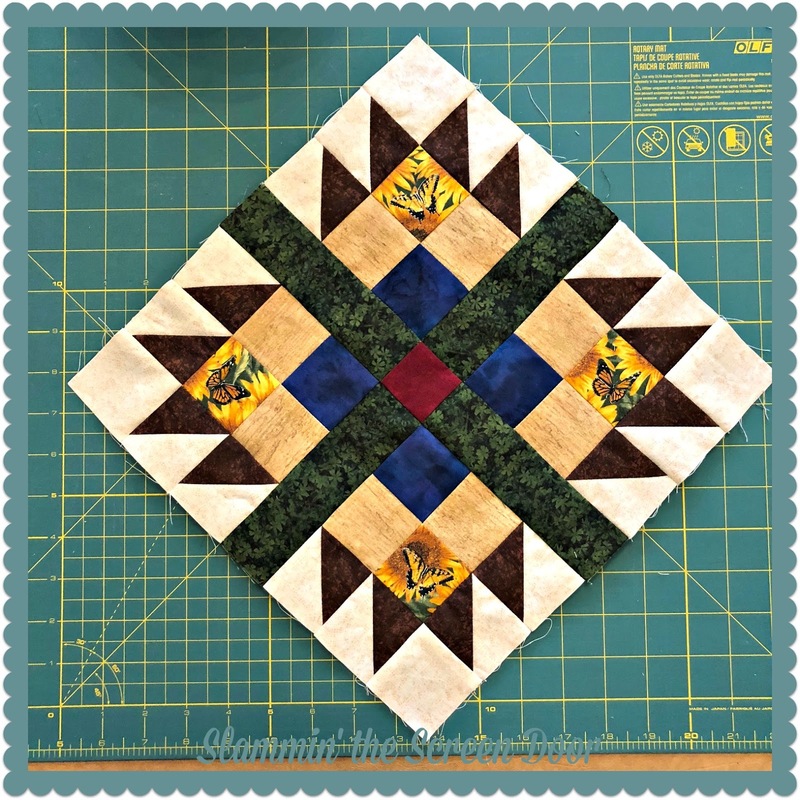 I rarely do mystery quilts as the first one I tried was one that the designer was making up as we went (I didn't know that.) -and we had to rip out parts at the end and change it. It is good to see what you have been up to. It's also good you are having the availability of getting out. Do it while you can. 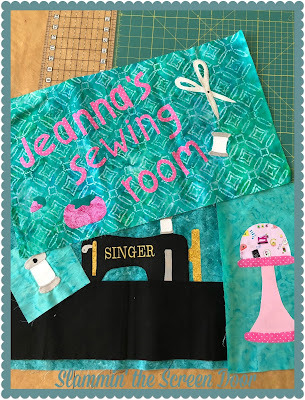 I anxious to see the finish on your quilting room banner. Looks like it will be a cute one. Thanks for an update on what is going on at YOUR house. 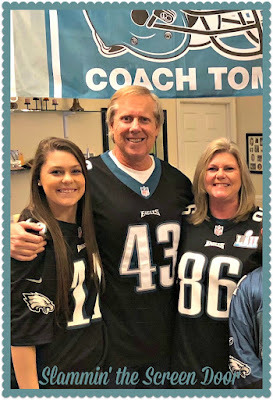 Yes, I'm with you on the Super Bowl win. Not my favorite team, but definitely the one I rooted for. Your temp quilt is going nicely. Glad for the update!! Hey is that you in the pic? Happy you are getting some sewing time here and there. Love the old Singer. Your are lucky to have Granma's machine. You have been very busy. Love all of your projects especially the Temperature Quilt. G loo ad to see you have been busy sewing too. Your daughter looks just like you! You both are so cute! Yay Eagles!!! I was cheering them on too! What an awesome game!!! 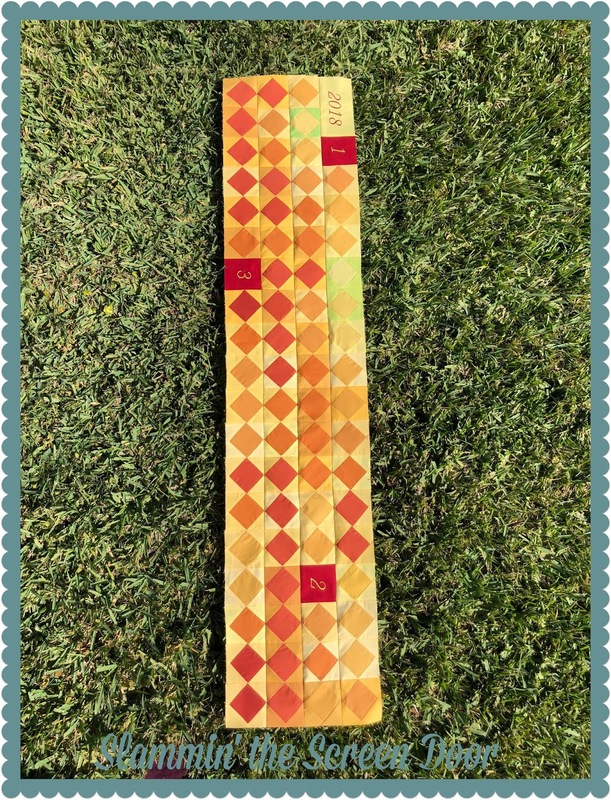 The temperature quilt looks interesting and love those camping blocks! Enjoy your trips! I love the way your Temperature Quilt is working out. Our colors are so similar - at least they were until the winter set in a few weeks ago. 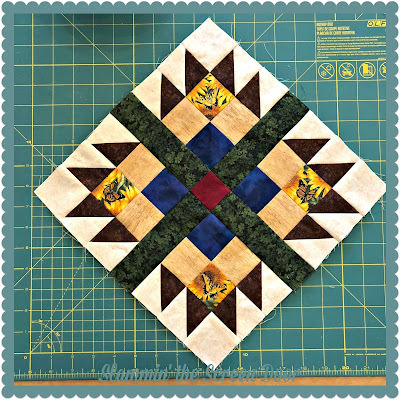 The QAL blocks are gorgeous. That will be a fabulous quilt. Have a fun time and wishing you safe travels.